That is the question an 84-year-old war veteran has asked for the past 12 years, facing continuous knockbacks in his quest for a medal to be awarded to all ex-servicemen and women. 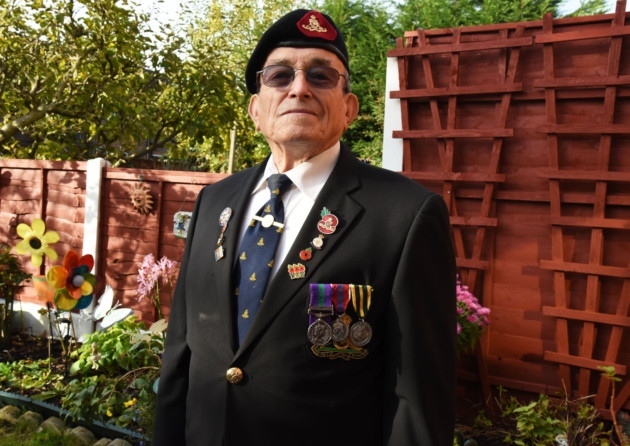 In the week the country stood still for Remembrance Sunday, Roy Wilson is continuing his fight for a National Defence Medal. The UK government has never considered service in the armed forces sole justification for an honour. Former Prime Minister David Cameron commissioned a review in 2012 into the merits of a medal, but it was deemed too expensive, with ministers suggesting ex-servicemen and woman could pay for their own medals. Mr Wilson believes this is unjust. He said: “We have been told by the government they cannot afford it, but the question which I have always asked and never got an answer to is, what price do you put on a man’s life? Currently, regular UK servicemen can only earn a long service and good conduct medal for 15 years’ service. “It could be someone’s first day and a bullet could kill them in an instant,” he said.